Late Nite Thoughts Part 11: Why Coffee is Better the Women? 1. You don’t have to put cream in your coffee to make it taste good. 2. Coffee doesn’t complain when you’ve put whipped cream in it. 3. Coffee looks better in the morning. 4. You won’t fall asleep after a cup of coffee. 5. You can always warm coffee up. 6. Coffee comes with endless refills. 8. You won’t get arrested for ordering coffee at 3 AM. 9. 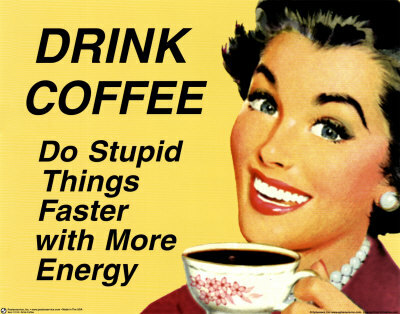 Coffee never runs out. 10. Coffee is out of your system by tomorrow morning.